At least eight people were killed and 20 injured after a bomb ripped through Pakistan’s eastern city of Lahore Thursday, officials said, the tenth attack in just under a fortnight pointing to a resurgence in violence. The blast, the second to hit the provincial capital this month, crumpled cars and sent panic rippling through the city after the wave of attacks across Pakistan killed more than 130 people. The building where the bomb went off was under construction in a market crowded with people, including children, said Imtiaz Ali, a 34-year-old barber. “When I came out I first just saw smoke and dust… Bikes upturned. Cars destroyed. My own colleague’s car windows blown out. My clients’ cars blown out. I was close to fainting,” he told AFP. Police and administration officials confirmed it was a bomb attack, as rescuers supplied the casualty toll. No group has immediately claimed responsibility. Punjab police spokesman Nayab Haider told Reuters the explosion was caused by a “planted bomb” that was either time- or remotely detonated. No one was allowed to leave or enter the area because the bomber was suspected to be at large, officials said. Reports of a second explosion turned out to be a tire blowout that caused panic due to the tense atmosphere in the city, a government official said. The panic underscored growing nervousness across the country as a series of assaults shook what had been a growing sense of security during a prolonged lull in violence. They included a previous bomb blast in Lahore on February 13 which killed 15 people, and a devastating suicide attack at a shrine in Sindh province that left 90 devotees dead. The attacks, most of which were claimed by ISIS or the Pakistani Taliban, have dented growing optimism over the country’s security after it appeared to be making strong gains in its decade-and-a-half long war on militancy. The emergence of ISIS and a Taliban resurgence would be a major blow to Pakistan. Analysts have said the apparently coordinated nature of the attacks suggested militants were regrouping. Islamabad launched a crackdown in the wake of the attacks, saying it has killed dozens of “terrorists” in recent days and carried out airstrikes on militant hideouts along the Afghan border. On Wednesday the military announced a nationwide anti-terrorist operation. “This operation will basically target sanctuaries… of militants in Punjab province and restrict their movements,” defense analyst and retired general Talat Masood told AFP. Since the beginning of 2015 Pakistan’s press, both printed and electronic, together with independent blogs, have been reporting with increasing frequency the spread of the Islamic State’s (IS) influence on Pakistani territory. Both the intelligence services of the USA and Canada were forced to admit this in February and March. Nick Rasmussen, the head of the US National Counterterrorism Centre, was compelled to touch on the problem when providing testimony at a Congressional hearing. 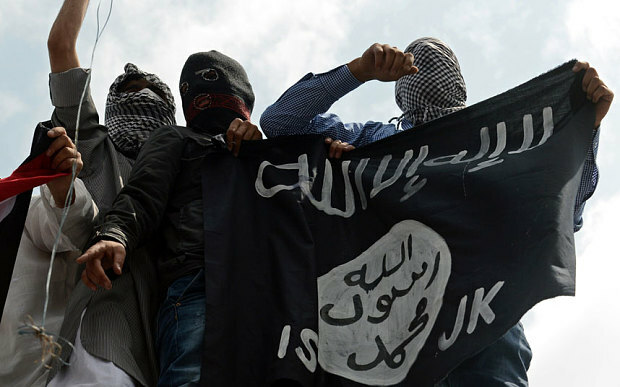 There is much fertile ground in Pakistan for IS representatives: according to various reports there are around 50 radical Sunni groups in the country which are close to IS in both spirit and intention. Included amongst these groups that help comprise the Taliban in Pakistan are the odious Jamaat-ul-Ahrar, Lashkar-e-Jhangvi, Sipah-e-Sahaba Pakistan, Lashkar-e-Taiba, and in particular Tehrik-E Taliban (TTP). These groups, together with a host of other radical organisations, are fighting to turn Pakistan into a Sunni theocratic state which would function solely under Sharia law. IS is trying to create the same kind of state in Syria and Iraq. By using the aspirations of the Pakistani radicals, IS emissaries are hoping to lay the groundwork to penetrate into Pakistan (as well trying to start a similar process in Afghanistan) and to then expand into the Iranian province of Khorasan, the countries of Central Asia, and the Xianjiang Uyghur Autonomous Region of China. The success of IS recruiters is reflected by the number of Pakistani Islamists who have changed sides and joined the Islamic State. The group Tehrik-e-Khilafat (linked to the Taliban) have announced that detachments of fighters from the Momand,Orakzai, Khyber, and Bajaur agencies of the Federally Administered Tribal Areas of Pakistan have declared their adherence to the goals as laid out by the leader of IS, Abu Bakr al-Baghdadi. Judging by social media correspondence and on the blogs and sites of various Jihadi organisations, around 1.5 thousand militants from the groups named above are fighting for IS in Syria and Iraq. What’s more leaders of radical groups in Pakistan are prepared to send hundreds of additional militants to fight for the Islamic State’s cause. The growth in the attractiveness of the Islamic State for Pakistani Islamists is facilitated by the skilful propaganda dispersed by IS ideologues, (which appears to be more effective than the ageing Taliban leaders, especially amongst the young), by the successes of Jihadist units in Syria and Iraq, and also by the Islamic State’s sheer spending power. The Islamic State’s ranks are also being significantly increased by young and unemployed people in Pakistan, the majority of whom come from poor families. They are radicalised in numerous madrasas and after their studies they go on to fill the ranks of armed Islamist units. Pakistan’s Ministry of Internal Affairs calculates that out of 24 thousand madrasas, roughly 10% of them are preparing ideologically motivated fighters. At the same time, despite the support that Pakistani radicals have for the Islamic State, there are some differences between them and the Jihadists from IS. In particular this difference is noticeable when talking who is considered the leader of the movement by each side. Pakistani Islamists still defer to the leader of the Taliban, Mullah Omar, Emir of the Islamic Emirate of Afghanistan, thus rejecting any claims to leadership of the Islamic caliphate by Abu Bakr al-Baghdadi. The activities of IS represent a real threat to the security of Pakistan. It is thanks to the Pakistani media, and its efforts to alert the international community, that we now know about the recruitment of several thousand volunteers by Jihadi recruiters, flying the IS flag, in the tribal agency of Kurram. According to experts at the Pakistan Institute of Peace Studies it is most likely that the Islamic State, relying on its supporters, is planning to set up bases in Pakistan and neighbouring Afghanistan. The Islamic State’s intentions in this regard are bad news for Islamabad. An additional influx of trained fighters from Syria and Iraq will seriously undermine any efforts to preserve the internal security of the country. That is an eye-witness description of the aftermath of the latest attack on Shias in Pakistan. Jundullah, the Takfiri terror group (which does not accept Shias as Muslim), which supports the ISIL, is associated with Tehrik-i-Taliban Pakistan (which itself, at the end of 2014, attacked a school in Peshawar, killing hundreds of children), and has carried out a number of terror attacks in Iran, claimed responsibility for the attack on a Shia mosque located in Shikarpur, Sindh. People rushed to the scene to dig out the survivors trapped under the roof that collapsed in the blast. Footage showed chaotic rescue scenes as people piled the wounded onto cars, motorbikes and rickshaws to take them for treatment. A local resident “felt the earth move beneath my feet” as he prayed at another mosque around 1.5 kilometers away. A police official said the blast was probably caused by an explosive device and some were quoted as saying they saw a man wearing an explosive vest. It is reported that the bomber approached after Friday prayers, and complained he was sick. After he was given medicine from a dispensary inside the mosque, he blew himself up. Shikarpur’s Inspector General of Police admitted that the bomber had exploited the kindness of his targets to get inside the mosque and kill them. The information minister insisted the blast did not occur because of a security lapse, saying, “The entire Pakistan is under threat and militants attack wherever they find a soft target but the blast did not occur because of a security lapse; security was present at the site.” But, according to a senior citizen, several threats were brought to the government’s attention, including a letter warning the mosque and its neighbors to only “fly the flag of the Taliban,” or else. The government, according to the citizen, didn’t provide security and didn’t take steps to prevent the terrorist attack. Prime Minister Nawaz Sharif condemned the bomb blast, and extended condolences to the bereaved families and asked the concerned authorities to provide the best medical treatment to the injured. A PM House statement said that the prime minister had sought a report into the incident. The PM said that the government was committed to eradicating the menace of terrorism and extremism from Pakistan. He said that steps were being taken to improve the capacity of law enforcement agencies so that they could better cope with such challenges. The government has pledged to crack down on all militant groups, reintroduce the death penalty, set up military courts to speed convictions and widen its military campaign in the lawless tribal areas. Attacks on Shia targets are common in Karachi but are fairly new in the interior of Sindh Province. The Friday incident is reportedly the fifth attack of a sectarian nature in the province’s interior since 2010. Shias make up about a fifth of Pakistan’s population of around 180 million. More than 800 Shias have been killed in attacks since the beginning of 2012, according to Human Rights Watch, though that number is likely higher in reality. Pakistan’s religious minorities say the government is doing little to alleviate their daily struggle against humiliation, discrimination and often violence. The attack has proven the federal and provincial governments’ failure in dealing with the issue of terrorism. One may also ask the Pakistani army and its various agencies why terrorists are able to continue their massacre of Shias and other minorities under their watch. The Pakistani government admits that Arab and Western governments are and have been funding seminaries throughout the country. The question of what innocent minds are being taught in these schools is a relevant and urgent one. Persian Gulf Arab governments, especially those like Saudi Arabia and the UAE are known to suppress their own Shia citizens and expatriates, and are complicit, at the least, in the propagation of a Takfiri ideology, which sees anyone – even Muslims – who is of a different sect or opinion from them as infidels worthy of being murdered. Yet, the Pakistani establishment would have us believe that this genocide is being perpetrated by Indian intelligence agencies, in order to sow the seeds of division within the country. Few in the media and in political power ask about the billion-dollar ‘gift’ from Saudi Arabia to Nawaz Sharif’s government, the money and arms that flow to extremists in the country, and for what purpose and why this is being allowed to happen. This narrative absolves successive governments of their responsibility in ensuring that all Pakistanis are able to freely worship and live in safety, as desired by the founder, Muhammad Ali Jinnah, and the peoples of Pakistan. Questions need to be asked about why for decades governments and the army have allowed seminaries to go unchecked. The Takfiri project that began in the time of late Zia-ul-Haq is now showing its true colors, with an overflow of brainwashed youths hungry to shed blood. Many believe that when Shias speak of a calculated genocide being carried out against them in the country, they are exaggerating. They speak of Sunni-Shia brotherhood, and how these attacks are on humans, and that sect is unimportant. It is important to say that these attacks are not an indication of Sunni-Shia strife, but of Takfiris versus everyone else. In fact, many of these attacks have gone to show Muslim unity, as reports have shown Sunnis helping defend, aid, and rescue Shia targets and victims. It would, though, behoove Pakistanis and the world to not ignore the facts proving a targeted campaign against the Shia minority. The truth in this matter is simply inconvenient for a media and government controlled by those who do not have the country’s best interests at heart. The blood of countless Shias, be they doctors, engineers, professors, religious scholars, laymen/women, children, the Hazaras, etc. does not lie. Put them all together and the picture is clarified. This was an organized campaign from the beginning to kill in small enough numbers that the population wouldn’t rise up, and in large enough numbers that the Shias would live in fear for their lives, daily. What we need to see now is for the media to end the ignorance of the Pakistani peoples as to the facts on the ground and to come out and admit this targeted campaign of killing. The people in turn need to hold those most responsible for the continuing carnage, namely those in power, and thosepoisoning minds in madrassahs throughout the country. The government, for its part, needs to stop playing politics with its citizens’ lives. The time to end the policy of turning a blind eye to the roots of extremism in the funds and arms flowing in must come to an end. It is worth noting that despite the insecure atmosphere Shias live in across Pakistan, and though many have over the years left in pursuit of a safe and secure atmosphere for their families and future generations, many have defiantly stayed behind. They argue that Pakistan is just as much their country as others, regardless of what outsiders and the establishment may want. That then is what we should take away from this. The Islamic Republic of Pakistan was founded for all, and the government, army, and media need to start acting like it. Pakistan Saturday issued orders to hang six more militants, official said, the latest in a wave of executions in the wake of the Peshawar school massacre, which claimed 149 lives in the country’s deadliest terror attack. Among the six is Shafqat Hussain, who was 15 when he was sentenced to death for the kidnapping and murder of a seven-year-old boy in 2004, officials said. “The courts have issued death warrants for seven convicts,” the prison department home secretary in southern Sindh province Nawaz Shaikh told AFP. “Prisoners Shahid Hanif and Khalil Ahmed convicted for killing government official on sectarian grounds, Zulfiqar Ali for killing 22 policemen deputed at the US Consulate in Karachi and Behram Khan for killing a young lawyer will be hanged on January 13, while Shahfaq Hussain will be executed for killing a child on January 14,” Shaikh said. “Two others, Talha and Saeed, will be given capital punishment for sectarian killings on January 15,” he added. Rights groups in the country have opposed Hussain’s conviction and sentence saying he should have been tried in a juvenile court and not been given the death penalty, which cannot be imposed on minors in Pakistan. Pakistan ended its six-years-old moratorium on the death penalty in terror cases last month in the wake of the slaughter at an army-run school in the northwestern city of Peshawar on December 16. Heavily-armed Tehreek-e-Taliban Pakistan (TTP) gunmen murdered 149 people, 133 of them schoolchildren, in the attack, which shocked the world and brought promises of swift and decisive action by the government and military. Seven convicted militants have been hanged so far since the de facto ban on capital punishment ended. Six of those executed were found guilty of trying to assassinate then-military dictator Musharraf in Rawalpindi in 2003 and the seventh was sentenced in connection with a 2009 attack on the army headquarters. Pakistani officials have said they plan to hang 500 convicts in the coming weeks, drawing protest from international human rights campaigners. The United Nations, European Union, Amnesty International and Human Rights Watch have called on Pakistan to re-impose its moratorium on the death penalty. Rights campaigners say Pakistan overuses its anti-terror laws and courts to prosecute ordinary crimes. At least 311 Shia Muslim embraced martyrdom across Pakistan during the year 2014. Notorious takfiri nasbi terrorists continued genocide against Shiites and most of the victims of students and businessmen. 2014 began with terrorist attack on Shia pilgrims in Akhtarabad Quetta of Balochistan province that also witnessed another major terrorist attack on Shia pilgrims in DareenGarh area of Mastung district. Karachi, capital of Sindh province, witnessed 141 targeted murders of Shia Muslims by takfiri ASWJ/LeJ (Sipah-e-Sahaba) and their allies. Quetta, capital city of Balochistan province, ranked second with 51 Shia Muslims assassinated there. Peshawar, capital city of Khyber-Pukhtoonkhwa province was third major city where Shia genocide was reported. 23 Shia pilgrims were massacred by takfiri Taliban-shoot in Taftan town of Balochistan province situated on land border with Iran. Kohat of KP province witnessed 14 Shia killings. Eleven (11) Shia Muslims were murdered in Parachinar, Shia majority area of Kurrum Agency. Nine each were reported assassinated in Dera Ismail Khan and Hangu of KP province. Three Shia Muslims were murdered in Rahim Yar Khan of Punjab province and another 3 in Orakzai Agency (FATA). Two were assassinated in Abbotabad of KP, another 2 in Faisalabad of Punjab province and 2 more in Hyderabad District of Sindh province. Mastung district also witnessed 2 Shiites killed. One each was murdered in Gujrat, Hassan Abdal, Lahore, Khanewal, Multan, Panj Garh, Rajan Pur of Punjab province. Single murders of Shia Muslims were reported in Islamabad, capital of Pakistan, Gujrat, Hassan Abdal, Khanewal, Multan, Lahore, Panj Garh, Rajanpur of Punjab province, Shikarpur of Sindh province and Tank of KP province. Among the Shia martyrs of 2014 were: 138 students, 63 business people, 7 religious scholars, 7 doctors, 4 professors, 5 lawyers, 7 engineers, 3 bankers, and 77 hailed from other professional groups. Just how dangerous it is for children to go to school in Pakistan? Pakistan saw more than 800 attacks on schools between 2009 and 2012. 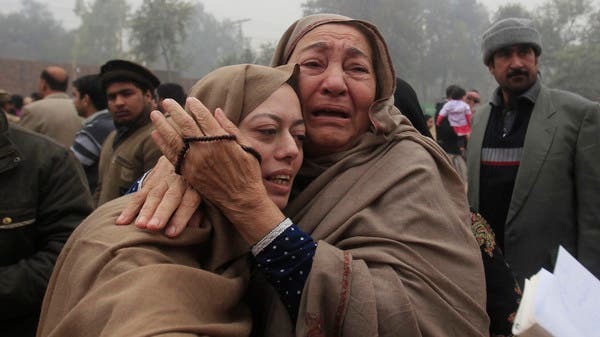 Pakistan is now in mourning, after a gruesome attack on a military-run Peshawar school on Tuesday in which members of the Pakistani Taliban (TTP) killed at least 145 people, including 132 children. “My body was shivering. I saw death so close and I will never forget the black boots approaching me — I felt as though it was death that was approaching me,” said 16-year-old Shahrukh Khan, who survived the massacre. Scenes of bloodied students and mourning mothers sent shockwaves around the world, drawing condemnation from even the Afghan Taliban. The militant group’s spokesman, Zabiullah Mujahid, said in a statement that “killing innocent children” goes against the group’s principals. Writing for the New Statesman on Tuesday, Samira Shackle pointed out that although Pakistan “has lost well over 40,000 innocents to terrorist attacks since 2001,” this week’s attack has still shocked the nation. Recent Nobel Peace Prize recipient Malala Yousafzai, who survived an attempt by the group to kill her two years ago for her work campaigning for girls’ education, said that she was “heartbroken” by the news. Attacking school children isn’t a new tactic for Pakistan’s militants. According to Save the Children, Pakistan saw more than 800 attacks on schools between 2009 and 2012 — some groups have counted more than 1,000 attacks in the last five years. Another barrier to education is good old fashioned government corruption. Anti-corruption group Transparency International said that they receive complaints about unpaid wages, as well as funding allocated to “ghost” teachers and schools that do not exist. Just as Pakistan’s education crisis is about more than just TTP violence, the TTP’s attack on Tuesday was about more than just girls’ education. So why did the TTP carry out the attack? Wazir also said that the TTP is “prepared for a long, long war against the US puppet state of Pakistan.” Militants see the Pakistani state and army as key instruments in the US drone campaign. The government first acknowledged direct cooperation this past June. But Pakistan’s Defense Minister, Khawaja Asif, has vowed to continue battling the group. “We are undeterred. … We will not back off,” he told CNN. Here’s a graphic that will help you understand that Tuesday’s attack is part of a bigger, long-running problem. Protesters have descended on a controversial mosque in Pakistan’s capital, Islamabad, vowing to reclaim the space after its Taliban-aligned cleric refused to condemn the attack on a school in Peshawar last week that left 148 people, including more than 100 children, dead. Abdul Aziz, head cleric of Lal Masjid, or Red Mosque, refused to condemn the Peshawar massacre, calling it an understandable response to a six-month Pakistani military drive against armed groups associated with the Taliban. In response, Pakistanis began protesting outside Lal Masjid on Thursday, which prompted protests against extremists in cities across Pakistan. Outside the mosque, protesters held a candlelit vigil for the victims and wrote the names of those killed on a white board while speaking against extremism. The liberal political party Muttahida Qaumi Movement (MQM) lodged a police complaint against Aziz for his statement after protesters called him a Taliban apologist, Pakistan media reported. On Sunday, Aziz gave into pressure and apologized for failing to unconditionally condemn the Peshawar attack by Tehreek-e-Taliban (TTP), Pakistan’s Taliban-aligned armed group. Aziz and Lal Masjid enjoy iconic status among some Pakistanis, and the mosque’s library was named after Osama bin Laden. In 2007, Aziz and his brother Abdul Rashir Ghazi, who helped run the mosque, launched an anti-vice campaign that saw their students take to the streets to violently enforce a hardline version of Sharia law. The campaign included abducting alleged prostitutes in an effort to reeducate them and forcing shopkeepers to burn CDs and videos deemed “evil” or immoral. In the following months, tensions rose and the mosque’s leaders were charged with kidnapping, assault and abuse. Clashes broke out in July 2007 between security forces and the clerics’ supporters, with troops soon surrounding the mosque. After a weeklong siege, at least 100 people were killed. The crackdown prompted a wave of suicide bombings across the country that killed roughly 1,000 people. While Ghazi was killed in the attack, Aziz escaped the siege disguised in a burqa — the traditional vestment that women wear that covers their bodies and faces. Afterward, more mosques were occupied in the name of the Taliban and Aziz was acquitted of all charges against him. He still heads Lal Masjid as well as a network of 27 seminaries across the Punjab province that oversees at least 5,000 students. The TTP has been increasingly active since peace talks with the Pakistani government broke down in the spring after the Taliban demanded the release of all jailed fighters and withdrawal of troops from tribal areas as conditions for negotiations. Aziz was briefly part of the TTP’s negotiating team. After talks dissolved, more pressure was put on the government to launch an all-out military campaign against the TTP. A recent six-month military crackdown on fighters in North Waziristan, the group’s stronghold, was supposed to have dealt a fatal blow to the TTP. Analysts had warned the operation might lead to unintended consequences, including driving out fighters to other parts of the country where police are not prepared to stop them. With the military seemingly unable to stop the TTP, civil groups have stepped up in Islamabad by attempting to reclaim the mosque from Aziz and condemn extremism. Pakistani officials say the schools are a “soft target” for Taliban militants. The attack on a school in the Pakistani city of Peshawar might be the worst in the country’s history, but human rights groups say it is part of an ongoing trend that has seen more than 1,000 schools targeted since 2009. “This is a particularly horrific case, in which more than 130 school children lost their lives, but it happens in a smaller scale all too often,” said Diya Nijhowne, director of the Global Coalition to Protect Education from Attack. A Taliban spokesman told AFP that the attack was “just the trailer”. Muhammad Khorasani said his group took credit for the attack, and warned that more was soon to come. Malala Yousafzai, the Nobel Prize-winner who has continued to campaign for girls education despite after being shot in the head by the Taliban, is perhaps the most famous case of a school attack in Pakistan. When the Taliban gained control in 2007 of the Swat Valley where Yousafzai lived, it banned girls’ education past the fourth grade. Between 2007 and the attack on Yousafzai in October 2012, 119 girls schools in the Swat Valley were attacked. A Palestinian human rights organisation announced on Tuesday that 475 Palestinians are currently serving life sentences inside Israeli jails, Anadolu news agency reported. The Palestinian Prisoners’ Centre for Studies reportedly issued a statement saying that 28 out of the 475 Palestinians serving life in prison are from the Gaza Strip, while the others are from different areas in the occupied West Bank and Jerusalem. Prisoner Hassana Salameh from Gaza has received the largest number of life sentences. He was arrested on 17 May 1996 and is serving 48 life sentences. All Palestinian prisoners face Israeli military courts, which Haaretz newspaper reported last year “systematically deny Palestinians the right to a fair trial”. On 25 June 2006, Palestinian fighters arrested an Israeli soldier in a tank at the border of the Gaza Strip and later swapped him to secure the release of 1,027 Palestinian prisoners. According to Anadolu, the Palestinian ministry of prisoners issued a statement on 26 August saying that around 7,000 Palestinian prisoners are currently inside Israeli jails – 84.8 per cent are from the occupied West Bank, 9.5 per cent from Jerusalem or 1948 Palestine and 5.7 per cent from Gaza. As the number of US drone strikes in Pakistan hits 400, research by the Bureau of Investigative Journalism finds that fewer than 4% of the people killed have been identified by available records as named members of al Qaeda. As the number of US drone strikes in Pakistan hits 400, research by the Bureau of Investigative Journalism finds that fewer than 4% of the people killed have been identified by available records as named members of al Qaeda. This calls in to question US Secretary of State John Kerry’s claim last year that only “confirmed terrorist targets at the highest level” were fired at. The Bureau’s Naming the Dead project has gathered the names and, where possible, the details of people killed by CIA drones in Pakistan since June 2004. On October 11 an attack brought the total number of drone strikes in Pakistan up to 400. The names of the dead have been collected over a year of research in and outside Pakistan, using a multitude of sources. These include both Pakistani government records leaked to the Bureau, and hundreds of open source reports in English, Pashtun and Urdu. Naming the Dead has also drawn on field investigations conducted by the Bureau’s researchers in Pakistan and other organisations, including Amnesty International, Reprieve and the Centre for Civilians in Conflict. Only 704 of the 2,379 dead have been identified, and only 295 of these were reported to be members of some kind of armed group. Few corroborating details were available for those who were just described as militants. More than a third of them were not designated a rank, and almost 30% are not even linked to a specific group. Only 84 are identified as members of al Qaeda – less than 4% of the total number of people killed. These findings “demonstrate the continuing complete lack of transparency surrounding US drone operations,” said Mustafa Qadri, Pakistan researcher for Amnesty International. When asked for a comment on the Bureau’s investigation, US National Security Council spokeswoman Caitlin Hayden said that strikes were only carried out when there was “near-certainty” that no civilians would be killed. “The death of innocent civilians is something that the U.S. Government seeks to avoid if at all possible. In those rare instances in which it appears non-combatants may have been killed or injured, after-action reviews have been conducted to determine why, and to ensure that we are taking the most effective steps to minimise such risk to non-combatants in the future,” said Hayden. The legal basis for the strikes also stems from the Authorisation for the Use of Military Force (Aumf) – a law signed by Congress three days after the September 11 2001 terrorist attacks. It gives the president the right to use “all necessary and appropriate force” against those behind the attacks on the US, wherever they are. The text of Aumf does not name any particular group. But the president, in a major foreign policy speech in May 2013, said this includes “al Qaeda, the Taliban and its associated forces”. The CIA itself does not seem to know the affiliation of everyone they kill. Secret CIA documents recording the identity, rank and affiliation of people targeted and killed in strikes between 2006 to 2008 and 2010 to 2011 wereleaked to the McClatchy news agency in April 2013. They identified hundreds of those killed as simply Afghan or Pakistani fighters, or as “unknown”. Determining the affiliation even of those deemed to be “Taliban” is problematic. The movement has two branches: one, the Afghan Taliban, is fighting US and allied forces, and trying to re-establish the ousted Taliban government of Mullah Omar in Kabul. The other, the Pakistani Taliban or the TTP, is mainly focused on toppling the Pakistani state, putting an end to democracy and establishing a theocracy based on extreme ideology. Although the US did not designate the TTP as a foreign terrorist organisation until September 2010, the group and its precursors are known to have worked with the Afghan Taliban. According to media reports, the choice of targets has not always reflected the priorities of the US alone. In April last year the McClatchy news agency reported the US used its drones to kill militants in Pakistan’s tribal areas in exchange for Pakistani help in targeting al Qaeda members. Three days before the McClatchy report, the New York Times revealed the first known US drone strike in Pakistan, on June 17 2004, was part of a secret deal with Pakistan to gain access to its airspace. The CIA agreed to kill the target, Nek Mohammed, in exchange for permission for its drones to go after the US’s enemies. Senior militants have been killed in the CIA’s 10-year drone campaign in Pakistan. But as the Bureau’s work indicates, it is far from clear that they constitute the only or even the majority of people killed in these strikes. “Judging by the sheer volume of strikes and the reliable estimates of total casualties, it is very unlikely that the majority of victims are senior commanders,” says Amnesty’s Qadri. The Bureau has only found 111 of those killed in Pakistan since 2004 described as a senior commander of any armed group – just 5% of the total. Research by the New America Foundation estimated the proportion of senior commanders to be even lower, at just 2%. Among them are men linked to serious crimes. Men such as Ibne Amin, known as the “butcher of Swat” for the barbaric treatment he and his men meted out on the residents of the Swat valley in 2008 and 2009. Others include Abu Khabab al Masri, an al Qaeda chemical weapons expert. Drones also killed Hakimullah andBaitullah Mehsud, and Wali Ur Rehman – all senior leaders of the TTP. There are 73 more people recorded in Naming the Dead who are described as mid-ranking members of armed groups. However someone’s rank is not necessarily a reliable guide to their importance in the organisation. Rashid Rauf, a British citizen killed in a November 2008 drone strike in Pakistan, is one al Qaeda member who appears to have had an impact despite not rising to the organisation’s highest echelons. He acted as a point of contact between the perpetrators of the July 7 2005 attacks on the London Underground and their al Qaeda controllers. He also filled a similar role linking al Qaeda central with the men planning to bring down several airliners flying from London to the US in the 2006 “liquid bomb plot”. Note: This story contains a clarification. 4% of people who have been killed by CIA drone strikes have been named and positively identified as members of al Qaeda by available records. Of the drone strike victims who have been named, 12% are identified as al Qaeda.